Local, seasonal cuisine is par for the course. : Executive chef Kenneth MacDonald lets his organic, locally sourced ingredients shine. From Monterey's tender sand dabs to a juicy half-pound grass-fed burger with bacon, there's a little something for everyone. We recommend the roast chicken and the seasonal leek ravioli. For dessert, if they're serving up the apple pie featuring Watsonville fruit, freshly-ground cinnamon and house-made ice cream, grab it. If you’re aiming for food with a conscience and big flavors, this place is a hole in one. Service is refreshingly knowledgeable and cordial. 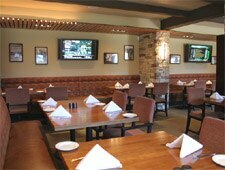 The setting, with views of the Quail Lodge Golf course, is casually elegant but sometimes noisy.